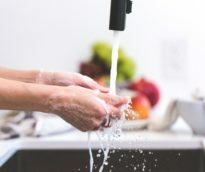 Norovirus is responsible for roughly 1 in 5 cases worldwide of acute gastroenteritis.The symptoms are pretty horrible: nausea, vomiting and diarrhea. And it’s very, very, very contagious. It takes only one particle to infect a human, compared to roughly 50 to 100 particles of flu virus.